New-fallen winter snow may look beautiful, but it can spell misery for back pain sufferers. Shoveling is the worst offender, but slippery sidewalks make it extra easy to twist back muscles, result in sprains, strains and yes, even herniated discs. In the Puyallup area, snowfall is generally limited, but that doesn’t mean the risks associated with clearing sidewalks are eliminated. In fact, because shoveling snow isn’t a common activity, it’s even easier to get out of the habit of doing it correctly. Warm up. 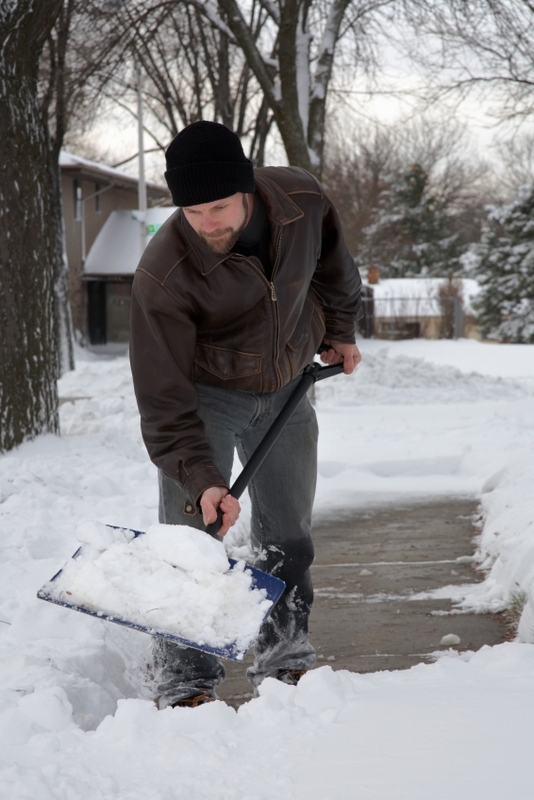 Snow shoveling is exercise, and just like any other type of exercise, you need to warm up your muscles before beginning. Stretching is good, and so is taking a brisk walk. Don’t overload the shovel, and remember: Wet snow is a lot heavier than it may look. Bend at the hips, then bend your knees and lift up with your legs. Don’t twist your torso. Instead, turn your whole body to put the shoveled snow out of the way. Buy an ergonomically designed shovel crafted to reduce back strain. -Wear the right footwear. Choose shoes with sturdy soles designed to grip wet surfaces. If you must wear dress shoes, change into them when you arrive at your destination. -Use de-icing products to keep steps clear of slush and ice. -Be sure your foot is firmly planted before shifting your weight onto it, and use handrails whenever possible. No matter what winter brings, be kind to your back. And if back pain flares up, give Microsurgical Spine a call and schedule an appointment so we can relieve your pain and have you feeling your best as soon as possible.